John 1:14 says that Jesus was “full of grace and truth”. He never compromised the truth in an attempt to be gracious. Nor did he ever present the truth in a way that lacked grace. John 2 gives us a couple of examples of Jesus acting gracefully and truthfully. First, he graciously turned the water into wine to prevent the wedding party from being embarrassed when they ran out of refreshments. Then he took a bold stand for the truth when he drove the moneychangers out of the temple. John 8 shows how Jesus was gracious and truthful at the same time. 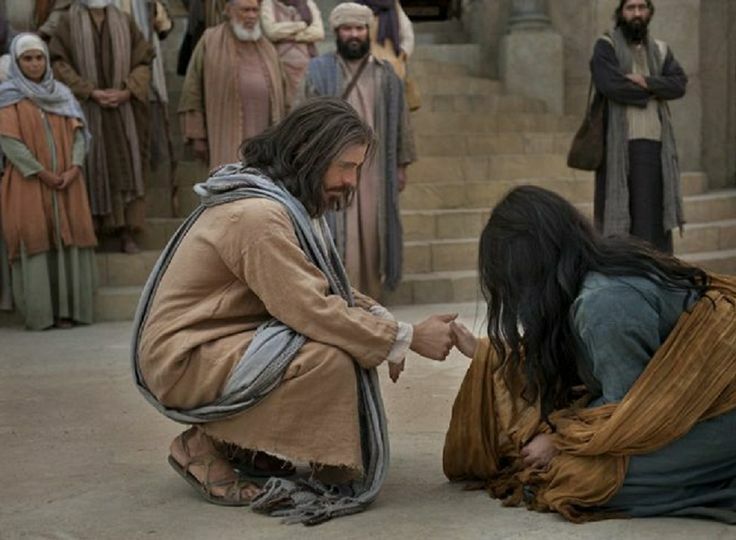 When a woman who had been caught in adultery was brought to Jesus, he graciously chose not to condemn her. However, he truthfully told her that she must leave behind her life of sin. Let’s try our best to be like Jesus—full of grace and truth. The world sure could use more of both! This entry was posted in Christian Living, Communion Meditations, Leadership and tagged drove out the moneychangers, full of grace and truth, illustration, Jesus, John 1:14, turned the water into wine, woman caught in adultery. Bookmark the permalink. One of my favorite stories John 8 a woman who had been caught in adultery was brought to Jesus and was forgiven. I think Jesus saw that her heart was good and her circumstances were bad….He was gracious and truthful with his words. Go and sin no more….. Thanks for the read.